Tsipras is faced with a hostile parliament, considering that all political parties except his own Syriza will vote against his government. 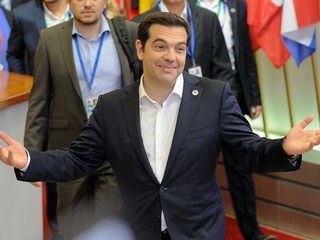 Tsipras called a vote of confidence last week, after Defence Minister Panos Kammenos, the leader of the conservative junior coalition partner, resigned because he opposes the name deal with the former Yugoslav Republic of Macedonia (FYROM), the so-called Prespa agreement. Maja Kocijancic, spokesperson for EU foreign affairs chief Federica Mogherini, replied that the Commission’s position on the Prespa Agreement was “very clear”. The Prespa deal is fully backed by the European Union and the United States while Russia opposes it and sees Washington’s pressure behind it to expand NATO’s influence in the region. The only EU leader who expressed reservations about the deal is Hungary’s premier Viktor Orban. Orban has also offered asylum to FYROM’s former prime minister Nikola Gruevski, who has been sentenced to jail for abuse of power. Gruevski has also kept a hardline position on the name dispute with Athens.